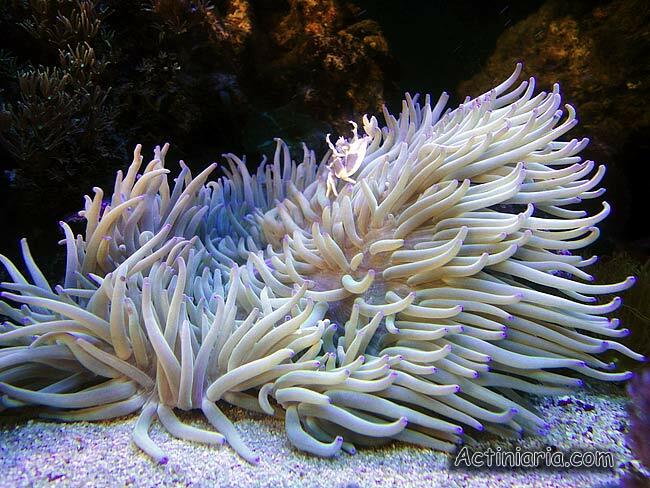 This species is quite popular among marine aquarium hobbyists. It is widely known under the name Heteractis crispa, but its valid name is Radianthus crispa. According to K.W. England (1988) Heteractis is a very different genus belonging to its own family Heteractidae and characterized by moniliform tentacles with characteristic swellings or protuberances which may be blister-like or more frequently forming a band across tentacle. 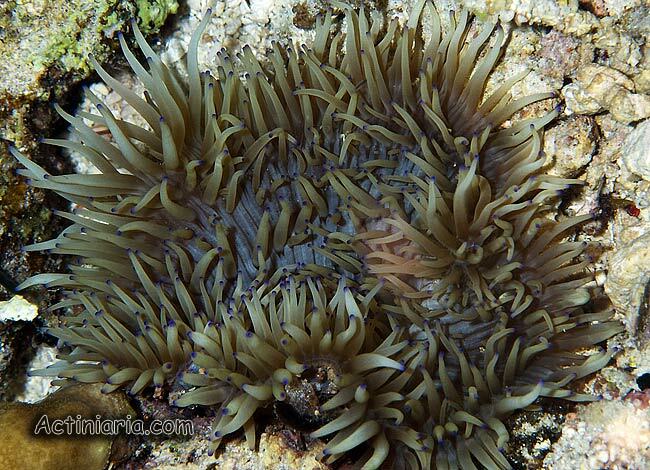 Heteractis aurora has special nematocysts which do not occur in Radianthus crispa and other anemones of the family Stichodactylidae, this feature is considered as very important. Another important difference between genera Radianthus and Heteractis: in Radianthus some tentacles on the disk are arranged in radial series with more than one tentacle attached to a single radius on the disk (a space between two adjacent mesenteries), in Heteractis the tentacles are arranged in the same way as in many other anemones, there are no radial series of tentacles on the disk and only one tentacle is present between two adjacent mesenteries. Currently the genus Heteractis contains only one species (Heteractis aurora), and most other species referred to this genus (e.g. species referred as Heteractis malu, Heteractis magnifica and Heteractis crispa) - they all actually belong to Radianthus.